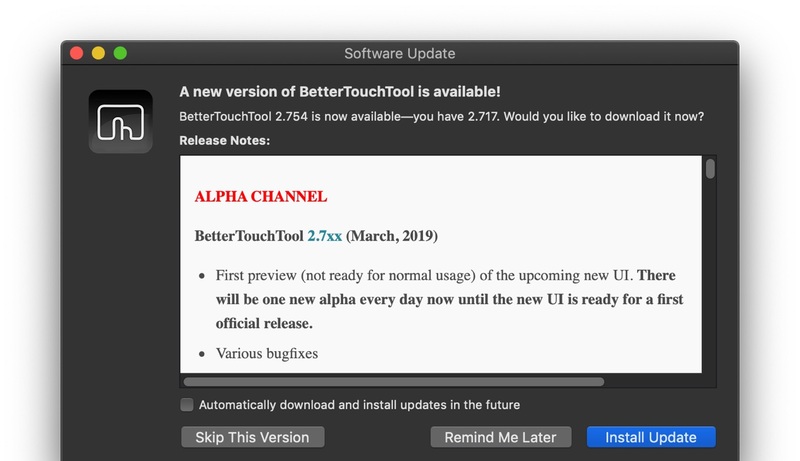 Macの入力デバイスにシステム以上の設定を割り当てることができるユーティリティ「BetterTouchTool」のAlpha Channelで新UIのプレビューが可能に。 | AAPL Ch. 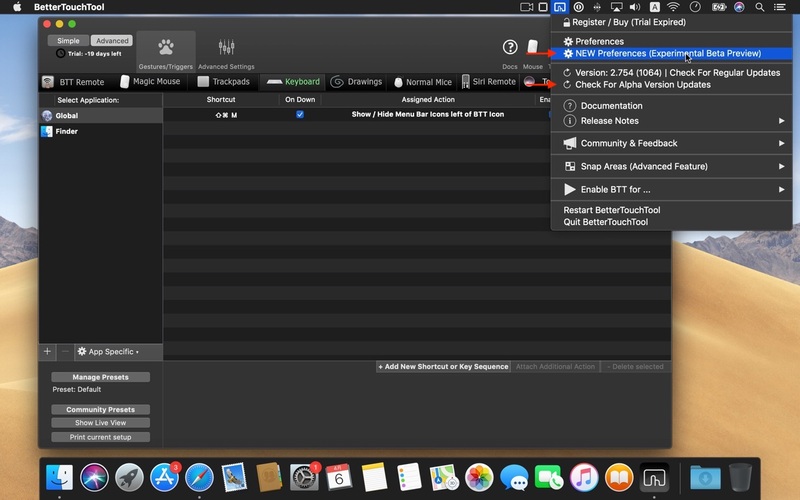 First preview (not ready for normal usage) of the upcoming new UI. 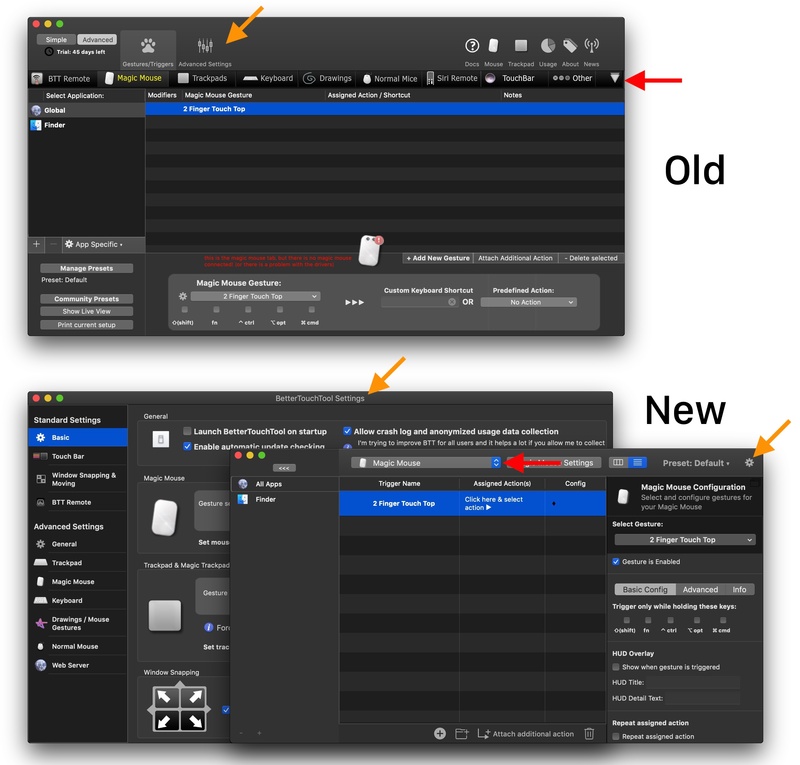 There will be one new alpha every day now until the new UI is ready for a first official release.